Earn $13.98 in VIP credit (1398 points)What's This? 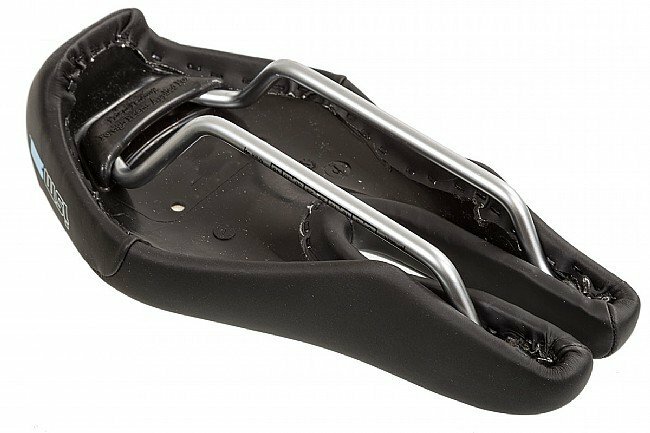 The ISM PR 2.0 is a new option from the innovative saddle maker for performance and recreational cyclists that want to ride in total comfort. It features their signature nose-less design with two contoured front arms to relieve pressure, encourage blood flow, and prevent numbness. This 2.0 model features slightly less padding under its synthetic leather cover than the 1.0 model for a sportier feel, but it incorporates foam and gel nonetheless. Steel rails. 245 mm long x 130 mm wide.